D.W. Richardson Park is located at 5255 Grand River Drive near the intersection of Plainfield Ave and Northland Dr. It has three baseball diamonds, play equipment and basketball courts. 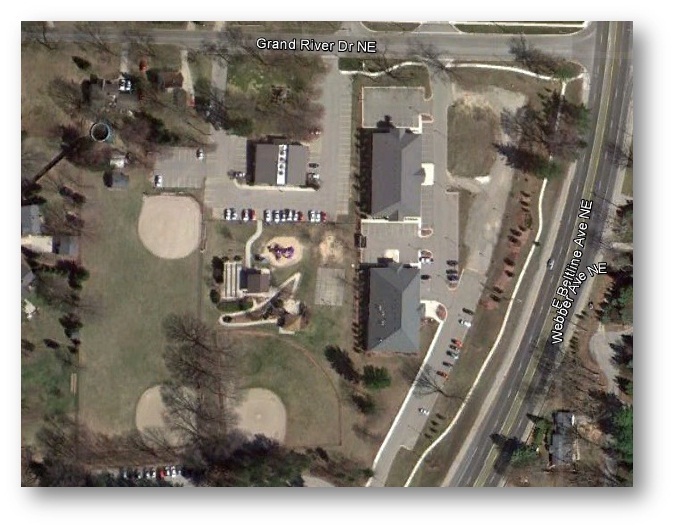 Parking is available off of Grand River Dr. and on the south side of the park off of the East Beltline. Spectator seating is very limited and spectators should bring their own chairs.